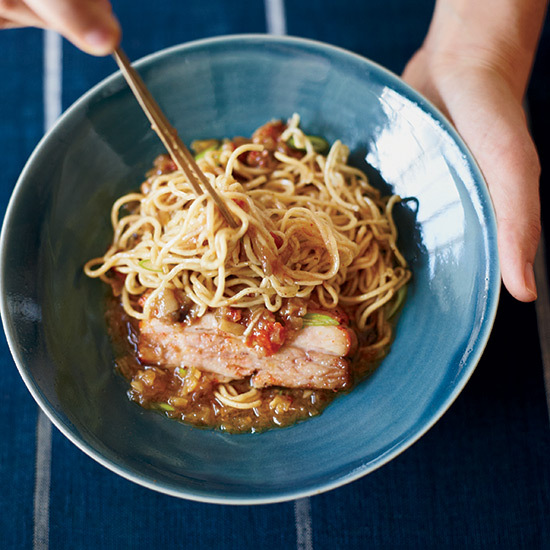 Expert Tip: In Japan, cooks use kansui to give ramen noodles their springy texture; here, Orkin substitutes baking soda that's been baked to increase its potency. This dough may seem too dry at first, but adding extra water will result in noodles that are too soft. Bake the baking soda in a 275° oven and dissolve in water; toast the rye flour over moderate heat and combine with the bread and cake flours. 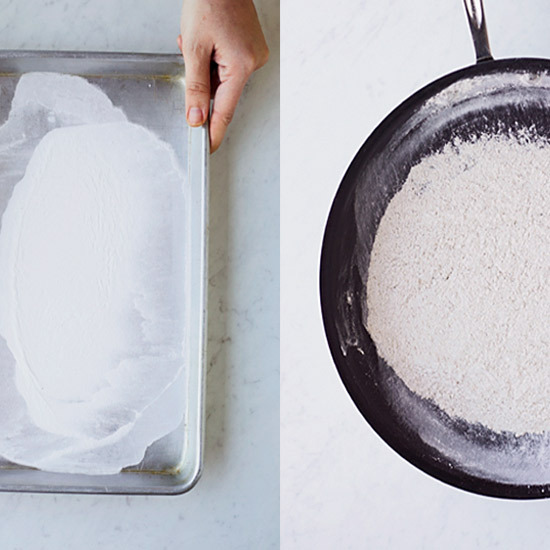 Gradually add the baking soda solution to the flour mixture. 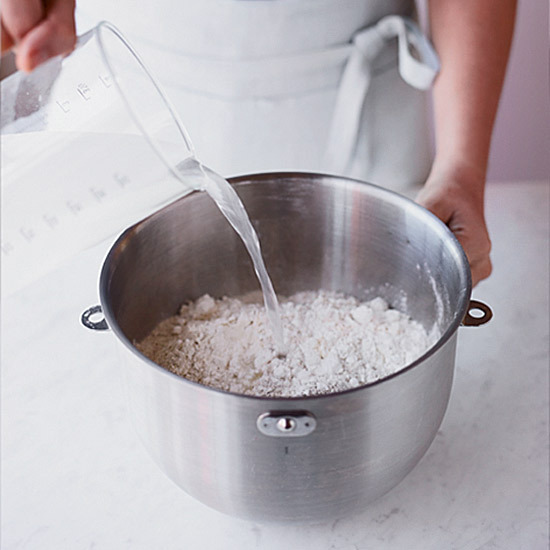 Knead into a rough ball and cover the bowl with plastic wrap. 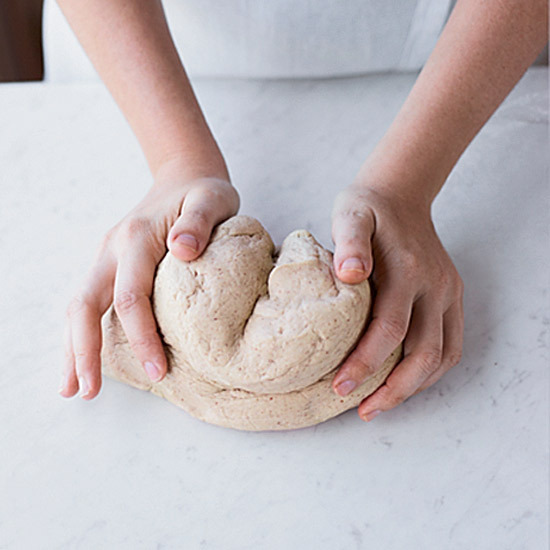 Let the dough rest until it has softened and relaxed, then form it into a disk. Cut the disk into 8 equal pieces; cover them with a damp towel. 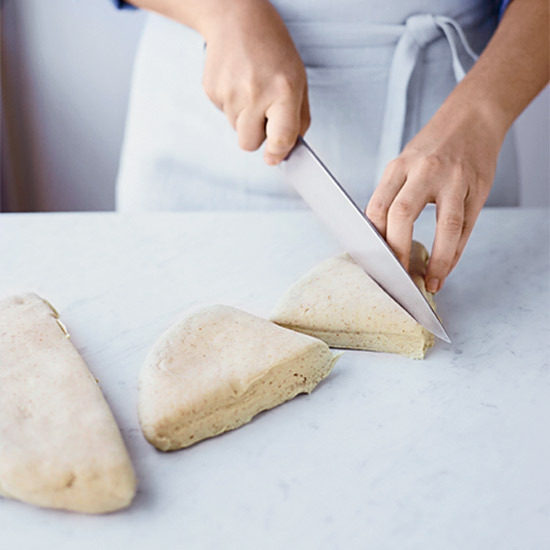 Roll the dough into 1/16-inch-thick sheets. 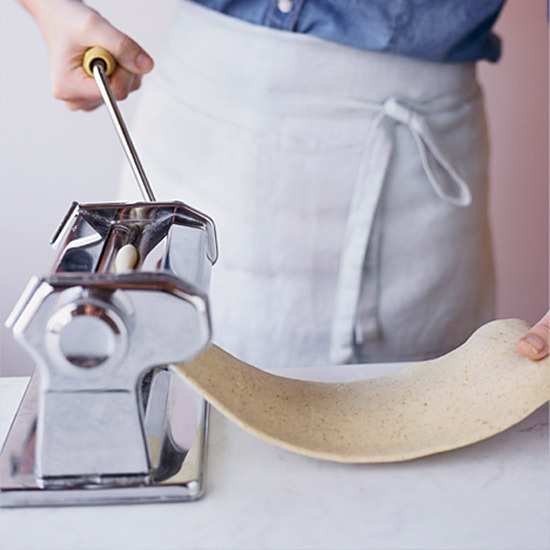 Run each sheet of pasta through the spaghetti cutter. 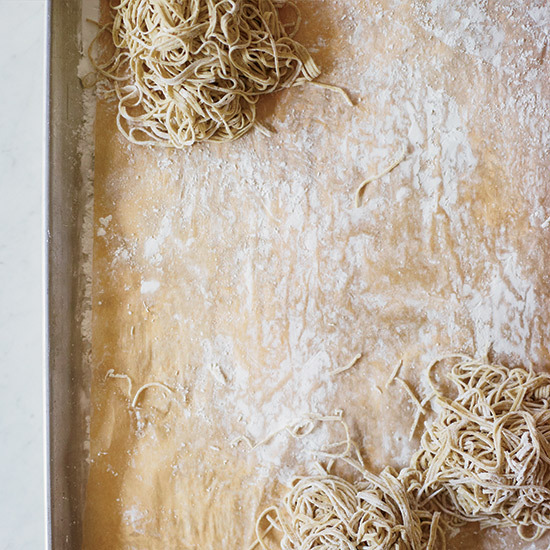 Gently toss the noodles with cornstarch and spread them on a baking sheet in a single layer in 8 even portions (about 5 ounces each). 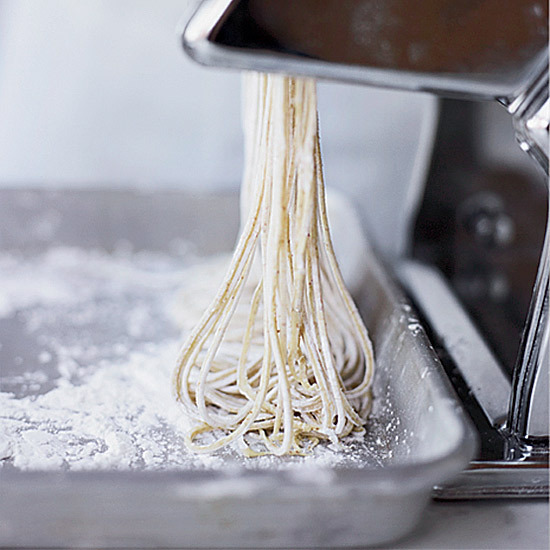 Boil one portion of noodles in unsalted water just until al dente, 1 minute. (You can cook up to 4 portions together.) Drain the noodles and add to the bowl.